This past weekend I was lucky enough to be invited to the Wings To Fly Fashion Show/ Tea Party at the Ritz Carlton in Phoenix, where one of my clients Yetta Gibson (News Anchor at 3TV) was the emcee. 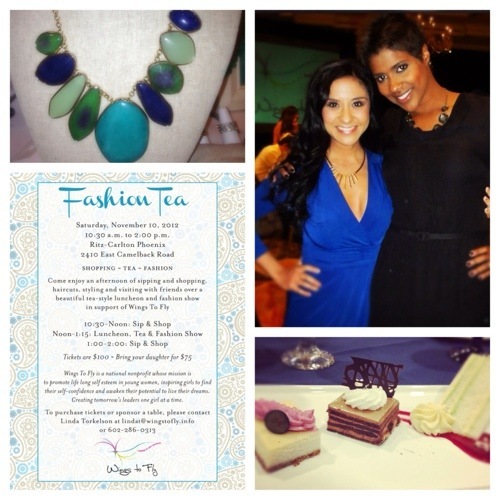 This event was full of fashion, strong independent women and some darn good tea! This camp is located at Chauncey Ranch, which is located on the Agua Fria River surrounded by cottonwood trees, willows,, swimming pools, horseback riding and a two-acre lake for canoeing and fishing. Their next camp starts June 8th- June 15th. If you would like more information you can visit their website at www.wingstofly.info.